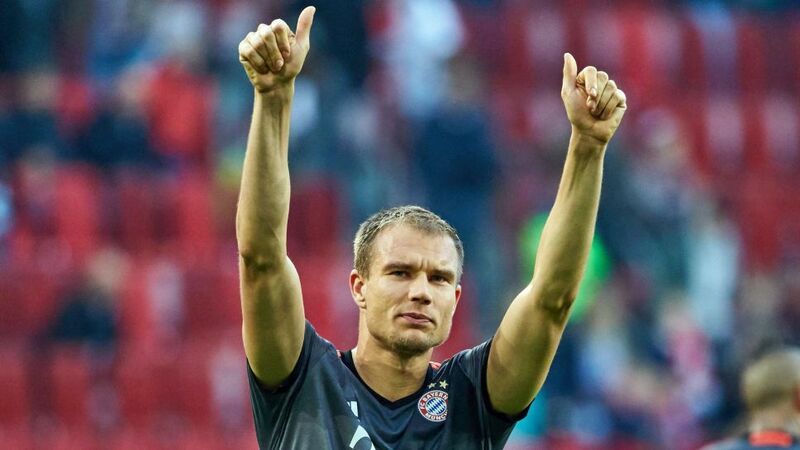 Holger Badstuber has penned an emotional letter of thanks to Bayern Munich and their supporters as he prepares to leave the club in the summer after 15 years. The 28-year-old defender, whose current deal expires on 30 June 2017, has been on loan at Schalke since January. "It was clear from the outset that Holger Badstuber, after his loan spell at Schalke, would likely look for a new experience abroad," Bayern CEO Karl-Heinz Rummenigge said. "Therefore Bayern Munich wishes Holger Badstuber all the best and would like to thank him for his exemplary commitment during almost 15 years at Säbener Straße." There are 1900 words, experiences and stories that come to mind when I think about FC Bayern. I’ve lived and breathed this club for 15 years. Now, as I say goodbye, I’d like to leave you with one, simple sentence: FC Bayern has been pure love for me. I’d like to thank those who pushed and supported me, my former team-mates and especially you fans for your unbelievable loyalty. Times change, people too. That connection to the club will always stay with me. But it’s good that I can start a completely new chapter in the summer. I’m really looking forward to it. Schalke had indicated earlier this week that they would be not be seeking to extend Badstuber’s stay in Gelsenkirchen. "We will not sign Badstuber on a permanent deal," sporting director Christian Heidel said at a news conference. Translation: Schalke did me good. I did a good job for Schalke. The loan was the right and an important step! Badstuber's career has been plagued by injuries since he graduated from the Bayern youth academy. He made his league debut for the club in August 2009 and went on to start 33 games in that season's title-winning campaign. He was a regular in the team for the following two seasons before suffering a cruciate ligament knee injury in December 2012. He had a recurrence of the problem in May 2013 and was out of action for 19 months in total before returning against Wolfsburg on the opening day of the 2014/2015 season. In 2015 Badstuber tore a thigh muscle and in February 2016 he broke his ankle, limiting him to just 18 league appearances for Bayern over the past three seasons. He has started ten league games for Schalke since joining the Royal Blues during the winter break. Vote for your Bundesliga Team of the Season here!